In 2005, Lisa Sugar started blogging about celebrities as a side project while working as a media planner at Goodby, Silverstein and Partners in San Francisco. 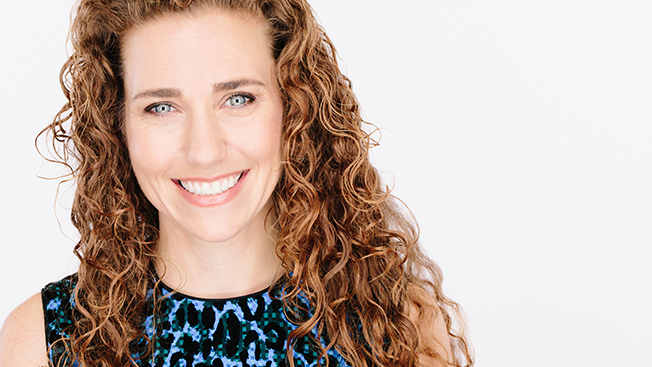 Eleven years later, her blog, PopSugar, has expanded into a massive lifestyle media company with numerous content verticals, international sites and an ecommerce division. 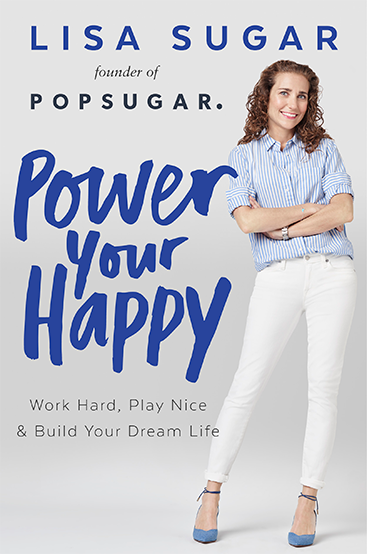 Sugar shares the story behind her company's growth and some of the lessons she learned along the way in her new book, Power Your Happy: Work Hard, Play Nice, and Build Your Dream Life, due out Sept. 20. Adweek spoke with Sugar about running a content company, the importance of standing out and who else in the business world is doing it right. Adweek: What made you decide to write a book in the first place? Lisa Sugar: We've been always giving advice in a variety of areas, whether it's fashion and beauty or fitness, but career is one that [the audience] keeps coming back for. So I felt now I've had 10 years of wisdom and expertise of growing the company, it was a good time to share our story about what we did to build PopSugar as well as practical advice that you could take away whether you were someone in college trying to figure all this stuff out, in your late 20s about to make a career change, or a mom coming back to work. We felt the book kind of could talk to all those types of audiences. When you first decided to go out on your own and make PopSugar into a full-time career, what's one piece of advice you wish someone had given you? Picking one thing out would be really hard, but persistence is one thing—just not giving up whether one person came to the site that day or a hundred people came to the site that day, and to keep on trying to figure out what it was that people were relating to and how to get creative about bringing people back. As the company grew, another important thing was learning the right time to let go and take on different responsibilities. I obviously loved writing every day, but a few years in, when we'd hired an amazing team, I needed to let go and let them do stuff so I could start helping with other parts of the company. You mention in the book that when you launched PopSugar, there were already a ton of celebrity sites on the internet. How does a new content brand set itself apart in a crowded market like that? I think the bottom line is knowing what your voice is and sticking with that from day one. We really wanted to be a fun, safe place online where we were making your life better. We were giving you advice of the day, things you needed to know, practical tips, fun stuff, everything from celebrity and entertainment but also to fitness and fashion. And I think that because we've always given that to readers in a really digestible, real, easy voice, we just know what PopSugar is and how our audience wants to read our content. So for us, it is that voice [that sets us apart] and I think for brands who are continuing to stand out it's the same thing—they've created their own voice and vision, and they stick with it. Are there any particular brands that you think are doing a really good job of maintaining a singular voice? I think SoulCycle does an incredible job of it. I think the brand hit 10 years this year, but I feel like they've exploded so much in the past three or four years. I love listening to each instructor, because they really go back to the brand's core values. I think Everlane has also done an amazing job with their voice and visuals and social media. What industry leaders are effectively using the lessons you teach in your book? I always look to folks like Sheryl Sandberg. She's just super inspirational in what she's done. I think that Jessica Alba has done amazing things as far as starting Honest and going from starting a line of kid- and family-friendly cleaning products to now expanding into all sorts of beauty products. So I love seeing how she pivoted her career. While a lot of your competitors have been purchased by larger media companies, PopSugar has remained independent. Why? I think that when you get to certain crossroads within your company, you need to figure out whether it's better to become part of another company that can help lift you up or continue to build internally. It's definitely different for each site and each media company. For us, [remaining independent] has helped us still feel like a startup while growing to 500 employees. I want people who are really into doing every aspect of the job. I don't like too many levels or inefficiencies with overhiring, and I think that that's something that's helped us stay frugal as we've grown really large. I think that sometimes when you get too big or get scooped up, if you just get lots of money all of a sudden, you might not think through enough how to spend that or how to be efficient with it. Do you find that as a digital native more legacy media companies are looking to you to help them reach younger audiences? I think what's nice is like when PopSugar started, we always looked to partner with other media companies, and I think they're starting to look at us as like a smart little sister that can talk to people differently than their older audiences. And I think that in the beginning, a lot of the companies were a little hesitant and scared of us, but now they're realizing that it's not about competition—it's about understanding our audience and working together, because our audience is not just going to read in one place. So we're constantly creating content for other networks. We did a show for Fox; we've got some stuff on Watchable TV. I think it's nice that the larger, older, more established companies are coming more towards us to work together, and we're flattered. What's next for you and PopSugar? We have a handful of things that we're always thinking about. More international growth is always on our radar because we've been in U.K. for a really long time. We've been in Australia. We definitely want to continue to go into China. From a content perspective, we're going to launch Career and Finance in a month, so we're excited about that. We've been doing a lot more news because it's an election year. And then also just more video and even [book] publishing. This is our first book, so who knows where this may lead us in the future? We have a lot of really creative, amazing storytellers here.